Remember back in the day when you'd strut around with an IBC root beer, firmly convinced that people were staring at your label-less bottle and going, "Damn, that 10yr-old is bossing that full-on alcoholic beverage"? Man, you were cool in elementary school. And while you don't have to limit yourself to pretend beer anymore, you can still recapture some of that childhood swagger thanks to Sprecher's revolutionary bourbon-barrel root beer. 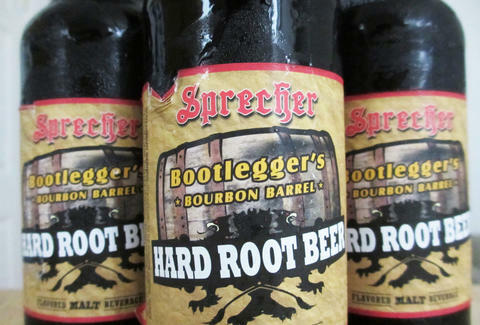 The Sprecher Bootlegger's Bourbon Barrel Hard Root Beer was initially produced in a limited batch in its home base in Glendale, Wisconsin at the start of the year. Those 700 first-run cases sold out of the gift shop within six days, so the brewery (also known for its boss sodas) decided to add this guy to their permanent collection. 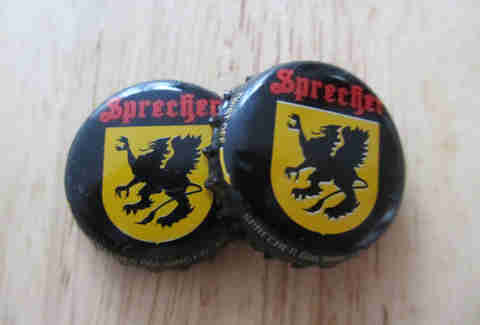 Sprecher has been pumping out cases in WI ever since. And while it's already quite the local celebrity -- earlier this Summer, it made a splashy appearance at the Wisconsin State Fair in the form of boozy root beer floats -- word of its glory has begun to spread nationwide as its distribution expands. Obviously this stuff was begging for a taste-test, so we got our hands on a few bottles and settled in for the wildest root beer tasting since, well, ever. After twisting off the tiny but proud taloned beast on the cap, I prepared for my first sip. My two esteemed colleagues and I agreed that this stuff just smelled like "straight-up root beer", and not some flat Barq's spiked with grain alcohol. So, a good sign! Then came the first taste. Now, I had been hit with a sinus sneak attack that very day, so I initially thought, "Wow, bourbon-barrel root beer, you are a potent little guy." Then I remembered Sprecher's hard root beer only clocks in at 5% ABV, and figured I should probably take some allergy meds. That settled, it was time for sip number two. Turns out Sprecher's hybrid is not that strong at all. It's really just like the craft root beers they're already famous for: a solid sarsaparilla soda with tons of vanilla flavoring. Only, this one did have just the slightest, almost after-taste of smooth bourbon. It gave the stuff a nice kick, or really more of a punt, as it slid down the old gullet. A perfect companion for some fried-food snacking, one of my fellow tasters mused. 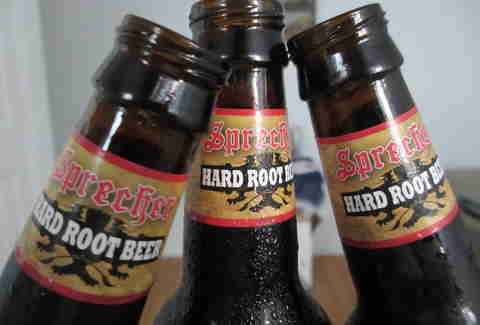 And, for real, those State Fair hard root beer floats sound life-affirming, so if you're lucky enough to have Sprecher's hard root beer stocked in your local liquor store, grab some ice cream, test that out, and report back. We'll be over here, partying with root beer like we're back in Miss Barnes' 4th grade homeroom.